If you have any comments or suggestions, we would be pleased to receive them at our address or by emailing us at info@lesielle.com. We will use the information you provide to enable us to process your orders and to provide you with the services and information offered through our website and which you request. Further, we will use the information you provide to administer your account with us; verify and carry out financial transactions in relation to payments you make online; audit the downloading of data from our website; improve the layout and/or content of the pages of our website and customise them for users; identify visitors on our website; carry out research on our users’ demographics; send you information we think you may find useful or which you have requested from us, including information about our products and services, provided you have indicated that you have not objected to being contacted for these purposes. Subject to obtaining your consent we may contact you by email with details of other products and services. If you prefer not to receive any marketing communications from us, you can opt out at any time. We shall not share any of your personal information with third parties located outside the European Economic Area. a) We will search at UK CRAs and FPAs for information on those placing orders for products on the Site. b) We will use the information provided to us by UK CRAs and FPAs to help make decisions about all those placing order for products on the Site. c) If you give us false or inaccurate information and we identify fraud, details may be passed to UK CRAs and FPAs. d) The UK CRAs will record details of the searches that we make with them. d) The information which we and other organisations provide to the UK CRAs and FPAs may be supplied by UK CRAs to other organisations and used by them to perform similar checks. Organisations may access and use the information recorded by FPAs from other countries. Currently we are taking Experian’s Authentication Service and Money Laundering Service for the aforementioned purposes. We may use your personal information for opinion and market research. Your details are anonymous and will only be used for statistical purposes and Lesielle Cosmetics SL. You can choose to opt out of this at any time. Any answers to surveys or opinion polls Lesielle may ask you to complete will not be forwarded on to third parties. Disclosing your email address is only necessary if you would like to take part in competitions. We save the answers to our surveys separately from your email address. We may also send you other information about us, the Site, our other websites, our products, sales promotions, our newsletters, anything relating to other companies in our group or our business partners. If you would prefer not to receive any of this additional information as detailed in this paragraph (or any part of it) please click the ‘unsubscribe’ link in any email that we send to you. Within 7 working days (days which are neither (i) a Saturday or Sunday, nor (ii) a public holiday anywhere in England) of receipt of your instruction we will cease to send you information as requested. If your instruction is unclear we will contact you for clarification. We may further anonymise data about users of the Site generally and use it for various purposes, including ascertaining the general location of the users and usage of certain aspects of the Site or a link contained in an email to those registered to receive them, and supplying that anonymised data to third parties such as publishers. However, that anonymised data will not be capable of identifying you personally. Our website uses social plugins (“plugins”) provided by the social network facebook.com, operated by Facebook Inc., 1601 S. California Avenue, Palo Alto, CA 94304, USA (“Facebook”). The plugins are identifiable by a Facebook logo or the notice “Facebook Social Plugin”. For a full list of all social plugins and their appearance please see developers.facebook.com/plugins. When you visit a page of our website that contains a social plugin, your browser establishes a direct connection to Facebook servers. Facebook directly transfers the plugin content to your browser which embeds the latter into the website, enabling Facebook to receive information about your having accessed the respective page of our website. For this purpose, the internet address of the visited site (your IP address included) is transferred to a USA-based Facebook server where the data are stored. This occurs even if you do not have a Facebook account or are not logged into Facebook at the time. You now have the option of staying logged in with the ‘Keep me logged in’ option. Check the ‘Keep me logged in’ box and use our services without having to log in every time. If you request to change your personal details or if you want to stop an order you will still be asked to provide your password. We advise you not to select ‘Keep me logged in’ if the computer you are using is being used by more than one person. Please be advised, you are only given the option of selecting ‘Keep me logged in’ if you have your browser set up to store cookies. Cookies and flash cookies are small files that are saved on your data carrier which store specific information about your preferred settings and any other data that our system needs when interacting with your browser. There are two different kinds of cookies: session cookies, which are deleted the moment you quit your browser; and temporary/permanent cookies, which are stored on your data carrier for a longer period of time or, in some cases, permanently. Cookies help us to tailor our website to suit you and to reflect your tastes and your browsing habits. They also allow us to save any information you have entered so you don’t have to enter it all again the next time you visit. What kind of cookies do Lesielle use? Important: to date 15/06/2016, lesielle use less cookies than we will explain here. As startup, we are continuously developing this website and our services so we have also included some future cookies in order to keep up to date this text in case we include some features. Most of the cookies we use are session cookies which are deleted at the end of your browser session. We use these to allow you to use our shopping basket function across more than page of our site, for example. We do use some cookies that remain on your computer after you have quit your browser. This kind of cookie enables our system to recognise that you’ve visited our website before and to remember which settings and products you preferred. These temporary/permanent cookies have a lifespan of around one month to ten years, after which they will be automatically deleted. These cookies allow us to collect and analyse data to come up with strategies to improve our website. 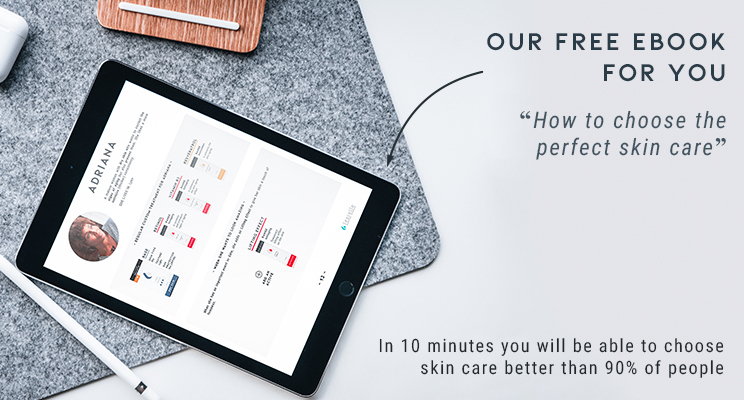 This makes our website easier for our customers to use and helps us to provide you with personal recommendation of products you may like. Our aim is to offer you a fun, easy shopping experience on a website that is tailored to your tastes. The cookies used by Lesielle are never used to store any personal information. Therefore our cookies cannot be traced back to an individual user. Once a cookie is activated, it is given an ID number, which is solely used for internal reference and cannot be used to identify the user or access any personal information, such as your name or IP address. The anonymised information we receive from the cookies allows us to assess which pages of our site are visited the most and see which products were most popular etc. The Lesielle website gathers information that could be useful in tailoring our adverts and online offer to our customers. This information is not used to identify you as a user; it is solely used for the optimization of our website. Information collected by our cookies is not stored with our customer’s personal information or order information, it is only used to provide our users with adverts and/or notification of offers and services that are suited to their individual tastes, using click stream analysis. Our goal is to provide you with a shopping experience suited to your tastes and shopping preferences. Do Lesielle use third party cookies? Cookies from specific business partners are allowed by Lesielle for the purpose of tailoring their adverts to your tastes and browsing habits, so cookies from some of our partners may be stored on your computer when you visit our site. These cookies are temporary/permanent cookies, which will be automatically deleted from your computer at the end of their lifespan (14 days to 10 years). As with our cookies, these third party cookies do not collect any personal information. The data stored is collected at certain times, allowing these companies to see which products have been viewed most frequently but this is done completely anonymously under randomly designated user ID numbers. Therefore, this data will never be pooled with any personal information you have given Lesielle. Our website uses retargeting, which allows us to make our online offer more interesting for you. Retargeting technology means we can advertise recently viewed and related products on our partners’ websites, meaning our adverts, even on other companies’ sites, are relevant to what you would like to see. We do this by analyzing user behavior from data collected by our cookies. Even this kind of information is anonymous, with no personal information being stored and no user profiles. You can change the settings in your browser to ask for your permission every time a cookie tries to access your computer. If you would like to accept Lesielle cookies but block our partners’ cookies, you can set your browser to block third party cookies. You can find detailed information on how to change your browser settings by clicking here. If you want to find out more information about cookies, go to http://www.allaboutcookies.org. Every time you visit Lesielle, information is sent from your browser to our server log files, where it will be saved. The information transferred includes: time and date or visit to our site, which pages were viewed, IP address, URL of site that referred you to Lesielle, how much information has been stored and which browser you have been using. Once we have all this information, all IP addresses are deleted or anonymised. Anonymisation means that your IP address is changed in such a way that they either cannot be linked with the original user or can only be linked through extensive research. The anonymous information stored in this log file is then used to improve the shopping experience on the Lesielle website by making our navigation more user-friendly, finding errors quickly and directing our server’s capacity to where it is needed most. For example, this information allows us to work out our busiest times and plan enough server power for those times to keep our site running as quickly as possible. I hereby give my permission for Lesielle to analyse and use protocol data to develop and optimize their online shop. We have in place appropriate technical and security measures to prevent unauthorised or unlawful access to or accidental loss of or destruction or damage to your information. When we collect data through the Site, we collect your personal details on a secure server. We use firewalls on our servers. When we collect payment card details electronically, we use encryption by using Secure Socket Layer (SSL) coding. Whilst we are unable to guarantee 100% security, this makes it hard for a hacker to decrypt your details. You are strongly recommended not to send full credit or debit card details in unencrypted electronic communications with us. We maintain physical, electronic and procedural safeguards in connection with the collection, storage and disclosure of your information. Our security procedures mean that we may occasionally request proof of identity before we disclose personal information to you. You are responsible for protecting against unauthorised access to your password and to your computer. © 2019 Lesielle Cosmetics®. Lesielle Adaptive Skin Care™. All rights reserved.